As the top illustration suggests, the pieces are falling into place. 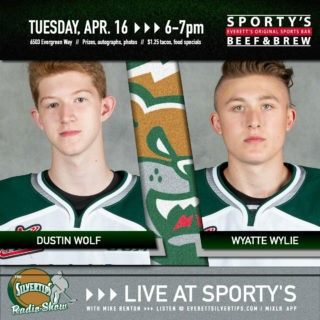 Persistence paying off with consistency taking the stage, three Everett Silvertips are up for grand stage achievements at the 2017 WHL Awards Show, Wednesday in Calgary (Shaw TV/WHL.ca) at 11 am PT. 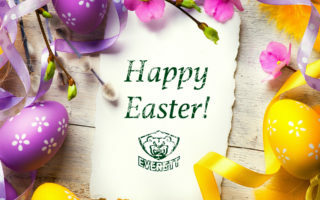 What many can appreciate about goaltender Carter Hart, defenseman Kevin Davis, and forward Brian King: they all represent different pillars of what upholds the Silvertips both on the ice and off the ice. There’s consistency in Hart’s results after cleaning up last year’s WHL and CHL Goaltender awards. There’s persistence in Davis, whose offensive numbers surged in his fourth season on the blueline while maintaining a rigid, disciplined, and poised identity. What Brian King did this season, his second in the WHL, can’t be solely qualified based on on-ice statistics. Indeed, he was crowned the Tips “Unsung Hero” – his 17 points and +1 rating in 62 games don’t scream at you. But his value is measured in other ways that can’t be quantified through the WHL mainstream statistical channels. He played a principle role on the Silvertips penalty kill (tops in the league at 85.8 pct). 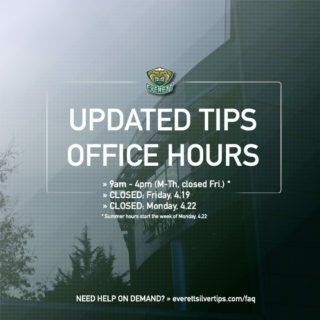 Nearly every Silvertip you have a conversation with mentions Brian King as one of the most likable guys in the dressing room. Nearly every Silvertip you have a conversation with will also mention the word, “warrior” when speaking of King and any shift he takes. There is no “off” switch. He also carries a 4.0 grade point average at Everett High and is on a speeding bullet train to capturing Valedictorian honors. He nailed a 1490 score (that bears repeating: 1-4-9-0) on his SAT exam. 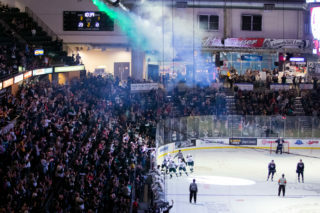 At stake for the Silvertips is a “rarely before seen” accomplishment that would make history. If Hart is crowned Goaltender of the Year once again, he would join Chet Pickard (Tri-City), Mike Vernon (Calgary), and Ray Martyniuk (Flin Flon) as the only four goalies in league history to earn back-to-back awards. Not to mention, Hart would be in the running for the first back-to-back winner in CHL history. 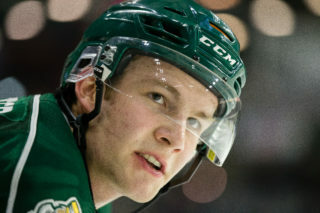 As King is the second Silvertip up for the Scholastic Award in as many seasons (a nod to Darren Parsons), it’s the first time since – last we checked – 2001 that a WHL Player was in the conversation for Valedictorian honors. Tampa Bay Lightning defenseman Braydon Coburn earned the honors through Milwaukie High School when skating with the Portland Winterhawks in 2000-01.